Hiking in Patagonia is breathtakingly beautiful and exciting! This vast, wild region at the tip of South America is a place like no other, and once you see it you’ll understand why. Massive glaciers, jagged granite peaks, azure lakes, roaring waterfalls, and sublime flower fields. 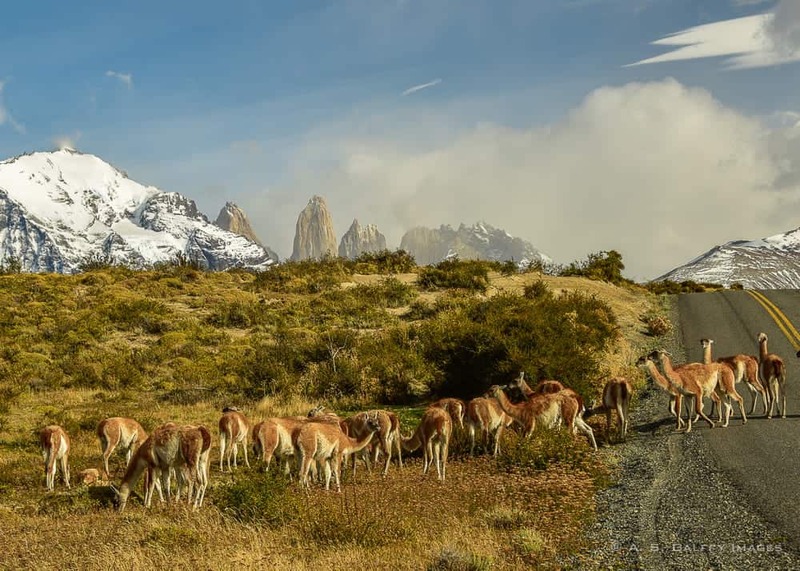 Tall mountain peaks and huge swatches of scrubland, dotted with roaming guanacos, lamas and ñandús. There are not many places in the world where you will fill a deeper connection with nature and witness its tremendous power. There is a reason why hikers from all around the world consider hiking in Patagonia an experience of a lifetime. But the land of massive glaciers and azure lake is as wild as it is beautiful. Therefore, in order to have a great time here, there are a few things that you should know BEFORE planning your hiking trip to Patagonia. 1.3 How Difficult Are the Hikes in Patagonia? Patagonia straddles two countries, divided by the Andes Mountains: Chile and Argentina. The Chilean side of Patagonia brags about the famous Torres del Paine National Park, while the Argentinean side boasts the stunning Mount Fitz Roy and Perito Moreno Glacier. 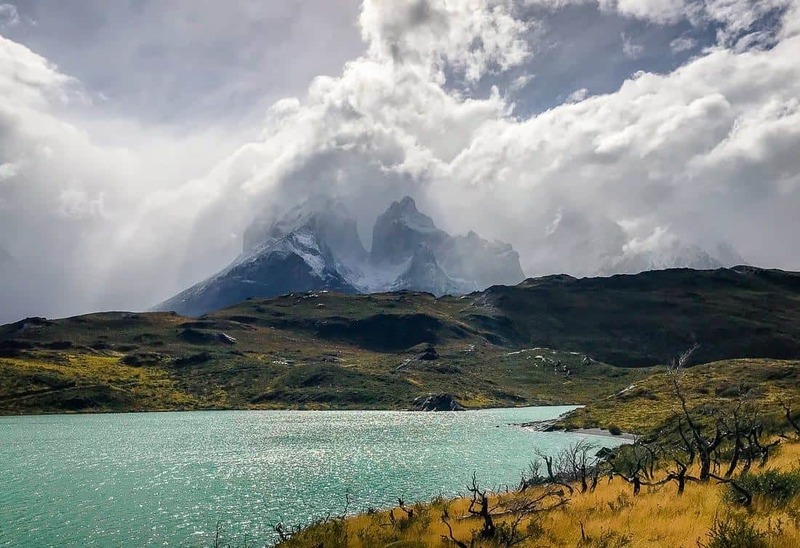 Some of the best hikes in Patagonia are in Chille’s Torres del Paine National Park, which is acknowledged as one the most spectacular places to see in South America. But Argentinean Patagonia is also home to unbelievably beautiful trails and tracks, like the hike to Laguna de Los Tres and Mount Fitz Roy. There are several world famous treks that start in El Chalten. 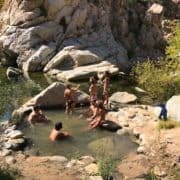 Some of these hikes are quite easy and can be attempted even by families with small children. Others are longer and more difficult and present a challenge even for the more seasoned hikers. Climate in Patagonia is pretty strange. The weather may go from one extreme to the other in less than a couple of hours. You can pretty much count on very strong winds, rain, mud, and sometimes snow at any time of year. Deciding what would be the best time for you depends on your preferences, expectations and budget. • Spring (early September to mid November) is a wonderful time for hiking in Patagonia. The weather may not be as stable as in summer, but it’s still nice and the park is not yet full. This is one of the two shoulder seasons when you may get better prices and still have a pretty good chance for good weather. • Summer (mid November to early March) is considered the best tie for hiking in Patagonia. You can enjoy warmer nights in the campgrounds and have less rain. The winds are quite strong in summer, but the temperatures are in the mid 50sF to low 60sF, so they may not feel so bad. Summer the busiest season of the year and most places in Patagonia are full to capacity. If you choose to visit Patagonia in summer you should plan to make reservations at least 6 months in advance. Prices are also higher than in any other season. • Fall (late March to early June) is considered a shoulder season and is a fair alternative to the summer season. The temperatures are cooler, but there is generally less wind. The weather is still great for hiking. 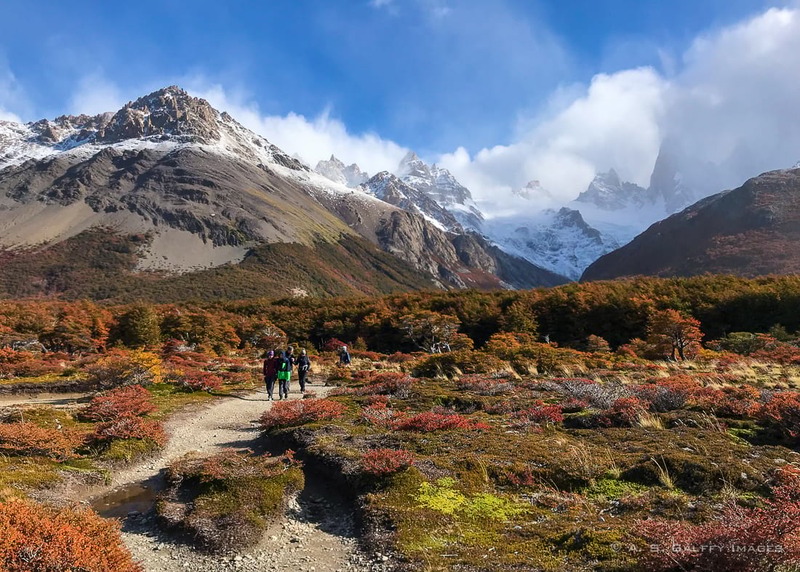 You may experience more rain and possibly even snow, but many prefer to hike Patagonia during fall because the great colors. Patagonia is absolutely spectacular in fall, when shades of red, orange and yellow complement the blue sky and the azure lakes. In fall you’ll also have less crowds and lower prices. • Winter (late June to August). The weather is cold and very unstable. Refugios and campgrounds close down for the winter and so do most of the hotels in Torres del Paine and El Chalten. Many of the trails are closed also because of the harsh conditions. They say Patagonia is particularly picturesque in winter, but for hiking and trekking this is definitely not a good season. The only good reason for visiting Patagonia in winter would be the occurrence of the Southern Lights. With almost 17 hours of darkness, you’ll have plenty of opportunity for viewing them. Trekking in Patagonia requires athleticism, endurance and a spirit of adventure. Doing one of the circuits in Torres del Paine can take anywhere from 4 to 8 days and is physically very challenging. You hike a lot of miles each day (mostly uphill) on very rocky trails. At night you sleep in a tent that is exposed to the elements. So whatever weather is out there you will feel it all: wind, rain, snow or sun. Leave alone the horrible food, the bed bugs, and the horrific sewage odor in campsites and refugios. On the other hand, day hikes can be just as beautiful and rewarding. Patagonia is a maze of hiking trails varying from easy, to moderate and more difficult. So if you have no interest in carrying a huge backpack and setting up a tent in the Patagonian wind, you have the option of staying in a nice hotel room and doing day trips. I just need to mention however that this option is more costly. How Difficult Are the Hikes in Patagonia? Trekking or hiking in Patagonia is no walk in the park. Especially if you want to do one of the circuits in Torres del Paine. It’s not the technical difficulty of the hike or the altitude that makes it seem strenuous. It’s the length of the trails, the moodiness of the Patagonian weather, and the weight of your rucksack that will drain your strength. That doesn’t mean that hiking in Patagonia is only for the pros or the extreme adventure seekers. In fact, thousands entry level backpackers and trackers hike every year in Chilean and Argentinian Patagonia. But it certainly helps to have some hiking experience under your belt before you venture here. Hiking in Patagonia is doable even for people with an average level of fitness. Depending on the trails you choose, you may even be an inexperienced hiker and still enjoy yourself. Trails in Patagonia vary from easy to moderate and more difficult. You can choose from guided to self-guided tours, but you don’t really need a guide for hiking in Patagonia. Trails are marked and well maintained, so and it’s practically impossible to get lost. 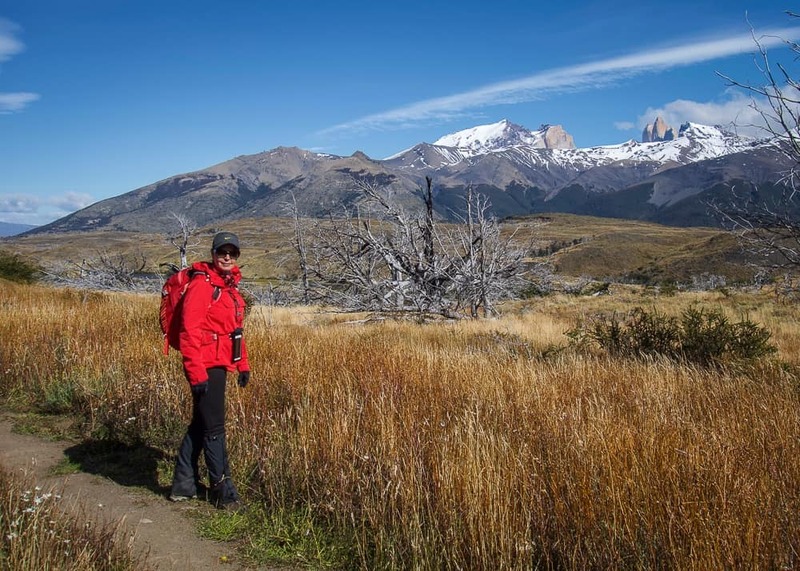 In Torres del Paine there are also ranger stations or campgrounds every few hiking hours. One thing to keep in mind when hiking in Patagonia is the weather. While it’s true that Patagonian weather may change in the blink of an eye, there are still good short term predictions that may help you decide whether to start on an easier or more difficult hike. Always dress in layers, no matter how the weather looks like. You will constantly be taking off and putting on clothes. I promise you that! Carry a light backpack if you plan to do day hikes. Some tracks may be quite challenging and the weight of your backpack may drain your strength. There is plenty of clean water all around in Patagonia, so you can fill your bottle from any stream. Just make sure you bring a refillable bottle with you on the trek. There is no set way to hiking in Patagonia. Some choose the rough and spartan trekking experience of the circuits and have no problem of sleeping in tents or Refugios. Others, like me, prefer to do day trips and sleep in the comfort of a hotel room at night. Each route is unique and beautiful, which makes hiking in Patagonia a great experience for everyone attempting it. And this couldn’t be more obvious then when you see the wide diversity of tourists in the region. If you are planning a hiking trip to Patagonia, please read my Patagonia packing guide post. It has lots of useful information. I love the photo of the alpacas crossing the road! 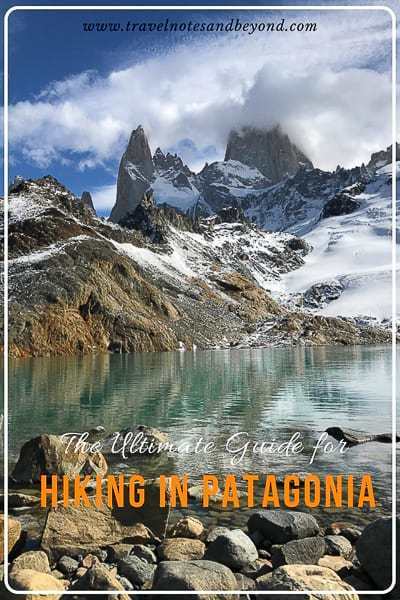 This is a great comprehensive guide to Patagonia. I appreciate that you are blunt and educate your readers that the trails are not for everyone. It's definitely not a beginner's hike. This is definitely on my bucket list! 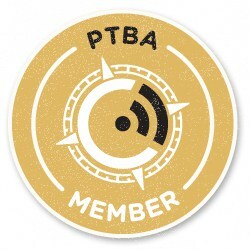 I'm planning a Patagonia trip for early 2020, so your post came at the perfect time! I've done some bigger hikes like Mt Kilimanjaro but always with porters and guides, so I'm looking forward to doing a completely self-sufficient hike where I carry all my gear, tents, sleeping bags, etc. Patagonia has been on my list for a while, so I am super excited that I'm finally getting to do this! The landscapes in Patagonia are truly spectacular. I love to hike, and although I cannot do anything strenuous due to health reasons now, it is an activity that is very close to my heart. I'm also very much like you and would prefer the day trips and sleep in comfortable hotel rooms. Just reached that age when I need a good clean bathroom and a nice soft bed at the end of a tiring day. Anda, that's a Wonderful post You have written. Patagonia is so mystique. I am sure you had a lovely time. I would love to do day trek as well for that will give me the opportunity to enjoy the view as well. But if there's a chance to sleep under the sky, I would happily camp (if there is a possibility). 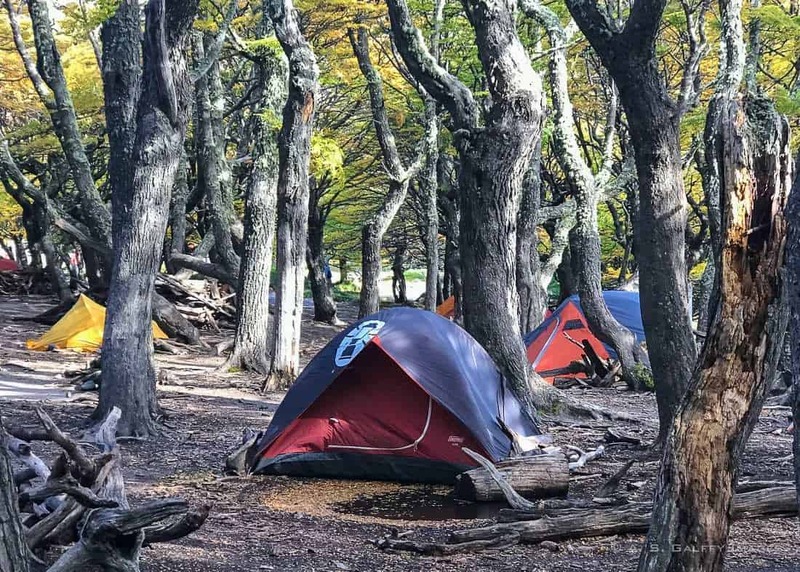 Patagonia is a Paradise for camping. In fact there are more camp sites and refugios in the National Parks of Patagonia than there are hotels. However, with the weather being very unpredictable and extreme, camping is not an easy task. I must say I have not visited this part of the world and have it on my list quite high. With the kids getting older I’m ready to venture out to the South American wilderness and the Hiking in Patagonia is without a doubt topping it. The natural beauty of the area and the wildlife you come across is unparalleled. Live the shot of those deers you have captured. A bit of planning required but the reward are great. Thanks for sharing. You are giving me so many dreams for the future. My Littles are 3, 3, and 1, so I think we'd have to do this kid-free and put it on our list for when they're older. I'm amazed at how much they love hiking already. Can't wait to experience Patagonia with them. Excellent tips here Anda. We were in Patagonia last year and was astounded by its beauty. We are not experienced hikers but we enjoyed many of the smaller day hikes. The beauty of Mount Fitz Roy is well worth the hike to view it. The towns of El Chalten and El Calafate are great places to stay and to use as a base for the hikes. Thanks for sharing your tips. We are a family hiker based in Switzerland so yes yes yes Patagonia, eapecially in Torrea del paine is on our hiking list! What an incredible experience! Although the weather changing situation scares me a bit! I wonder also how the area looks like now after the big fire in 2011! Patagonia is really beautiful. As for the fire damages, you'll be surprised how quickly nature regenerates itself. Of course, you can still see the fire traces, but the devastation didn't take away Torres del Paine's charm. I admire those gorgeous landscapes and slopes, your ohotos are like paintings :) I understand how expensive the hotel is, they are so lucky to have this beauty. Where will be you next destination? So much natural beauty. Your pictures are like those gorgeous desktops that we have. And the fact that you can explore them all with hikes makes this place even more amazing. Rightly said about the long hikes being tough owing to the unending trails. It takes a lot of patience to keep going in places like this. Beautiful landscape! Even a person who doesnt enjoy hiking would love to go here! I hope it is okay for a beginner like me! Wow Patagonia has been on my hiking list for a while now and reading your post makes me book my trip very soon! Torres del Paine looks so stunningly beautiful, thats ice capped mountains are so picturesque! 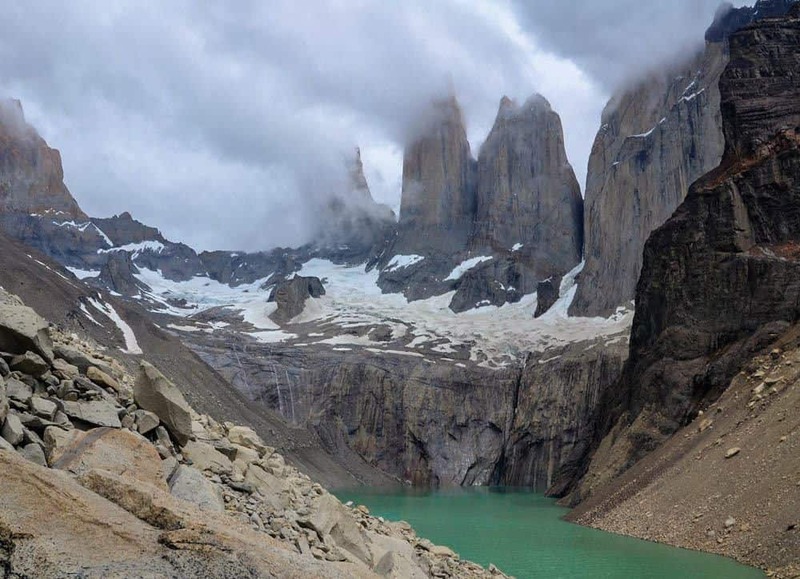 Personally, I’d love to try a multi-day trek in Torres del Paine for those views! Good to know about the best season to visit as it plays such a big role for experiences like this although it sounds like you need a lot of preparation to endure it. 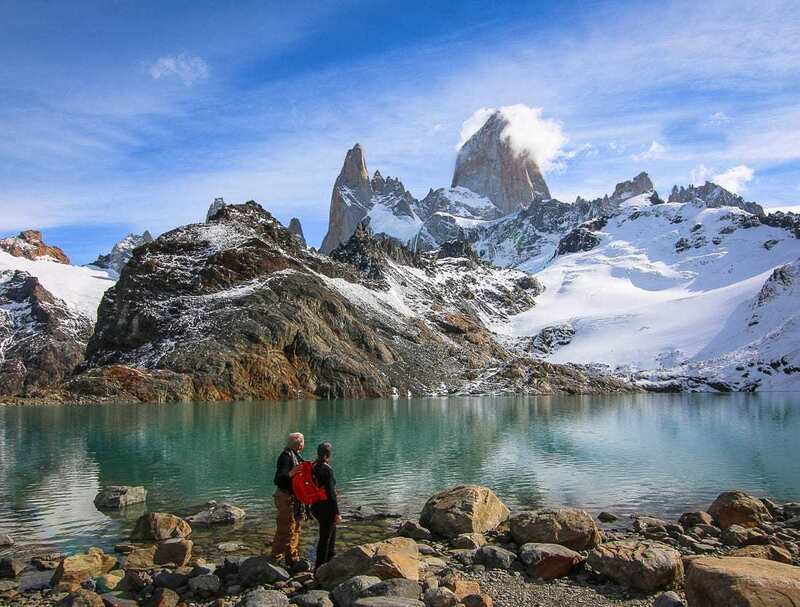 Trekking Torres del Paineindeed sounds like an experience of a lifetime. The landscapes really look out of the world. Your pictures bring alive the terrain in vivid colour and tempts one to head over there. It is nice to know that though the trek has its challenges it can be done by amateurs as well. Hope to get there someday and experience first-hand the thrill of trekking there. Till then thoroughly enjoyed reading about it here. This post comes at the right time for us, as we are planning a trip to South America this October. That means 'spring', as you mention here. 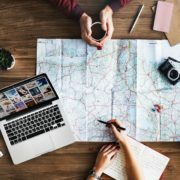 Do you have any recommendations for day trip planning? 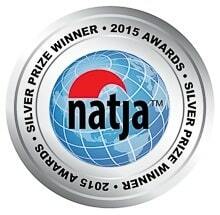 Should we go with a tour operator? You don't need a tour guide in order to explore Torres del Paine. If you are interested in day trips in this national park, you should read my other posts about Torres del Paine. I have a long list of recommendations regarding how to get to the park as well. Stunning pictures, looks like a great place with good hiking options. The map you added gave a clearer picture of the possible hikes. Long since I stayed in a tent for the night, looks enticing from that point. Wow, your photos are absolutely stunning! 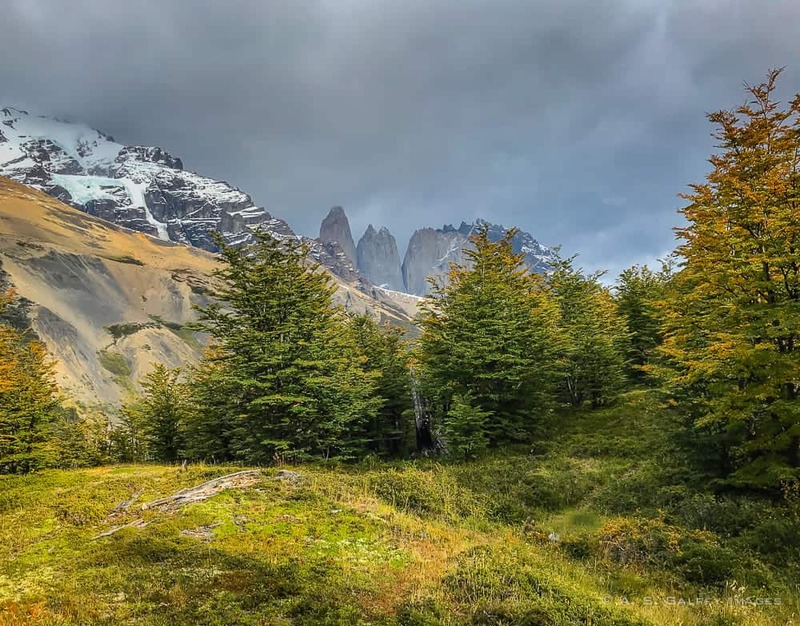 Patagonia has been on our list for a while, in fact after reading this and looking at your pictures it may have jumped a couple of places up the list! I feel I may need to get in better shape to get the best out of a trip here though, but I'm guessing the altitude isn't much of an issue if it's mostly sub 3000m? You are right Sam, the altitude is not an issue in Patagonia. Thank you, Anda! I've really wanted to visit this part of the world, but always thought there weren't many day hike options - time to start planning my trip now that I know I don't have to trek for more than a day! And your pictures are absolutely gorgeous. Thanks for dropping by, Cindy. Always good to hear from you. Yes, Torres del Paine is a wonderful place to visit and you don't really need to be an experienced hiker in order to have fun there. Just day hikes, Jess. The circuit is brutal. It implies sleeping in a tent or a refugio (just slightly better than a tent) and facing the dreadful Patagonian weather. I'm speechless after reading this post. Torres del Paine has gone straight to the top of my travel wish list. I'm a total new person to hiking, but appreciate the information on these routes. I think I'd like to travel there in spring or summer. I know the heat would get to most people, but I'm a sunshine person, and would also love to capture these scenes in the sunlight. Those multi-day circuits look quite brutal for a softie like me. I like the idea of day treks and heading back to a comfortable hotel at night. Roughing it in a tent or even a refugio would have been fine 30 years ago. Driving in and back to comfort after a day trek works for me. That really does look like the trip of a lifetime! You captured such stunning photos, I can only imagine how wonderful it must be to see those views with your own eyes. 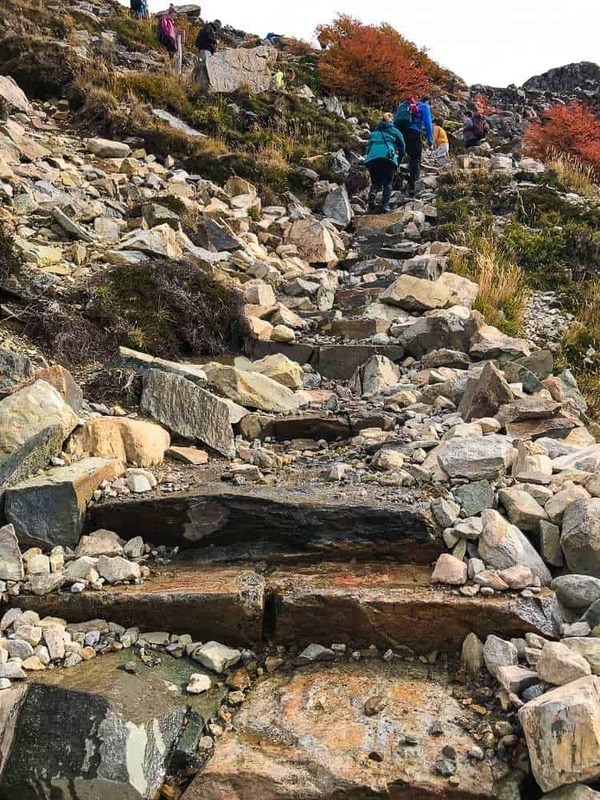 It's great that you included info on how the different seasons will affect a trek and the very informative trek routes! Wow! I wish I had the courage and endurance to trek Torres del Paine. The views are absolutely stunning and I'm sure very well worth it in the end. It's crazy how the weather can change within hours and the altitude is another challenge in itself. Surprisingly enough, altitude is not a problem in Torres del Paine. The length of the trails and the moody weather is, however. Wow, I'm innately into trekking and camping, and reading this makes me grinning from to ear. I truly love the unassuming beauty of Torres Del Paine. The scenery along the way is breathtakingly stunning. If this would only be just so close to where I am now, I will surely get here by tomorrow. 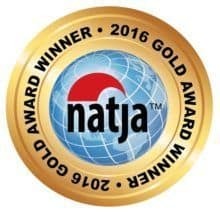 Thank you for providing all the useful tips and guide for this will be a great help for those that are planning to climb Torres Del Paine. Patagonia looks absolutely breathtaking! Thank you for such a detailed post, I would love to go on a hike there. With beautiful landscapes there, this looks like the ultimate place to hike. The Torres del Paine Southern Patagonia. Your information is spot on and would give me a hiker some choices to make. Seems like one of the many difficulties is the altitude. I would love to hike the circuit. 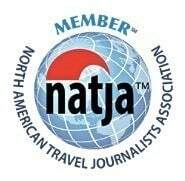 Great information plus a link on what to pack in your bag. Thanks for sharing! I think you misunderstood, Stephanie. Altitude is NOT an issue in Torres del Paine. The moody weather on the other had is. Hope you'll get to hike in Patagonia someday. I love the idea of multi-day hikes but realistically I think my age, fitness level and health is far more suited to day trekking. This is definitely one for the bucket list. I'm with you on that, Lyn. I am no longer at the age of sleeping in tents and enduring rough conditions, hahaha! Wow what a stunning landscape Patagonia has. This is a really useful post, great detail. Have pinned. Anda, it is great to have insight into this beautiful part of the world. 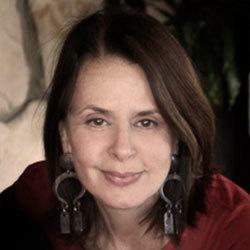 We have Chilean friends and they have invited us many times to their country. 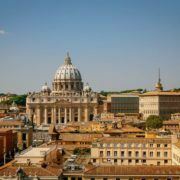 The idea is to spend some days in the capital and then move to the southern part of the country. We will love to do that one day. Right now, I am kind of hooked in Europe. I know what you are saying, Ruth. I love Europe too. However, Europe is easy to visit at any age, while Patagonia is a place that will test your endurance. Better go there while you are still young and energetic, lol! Hi Michelle, sorry for the confusion. We did not camp or stayed in refugios. We just did the day hikes, which means we did parts of the trekking circuits. Staying in a tend in these dreadful weather conditions is way too hard for me. Maybe I would have attempted this if I were 20 years younger, hahaha! Beautiful place! I have been dreaming of going to Patagonia forever. I think it is a destination on every hikers bucket list. Patagonia is truly beautiful, but I don't think I would like to live there. It's way too remote for me, but some people like it precisely because it is remote. I love you photos! Its a bit hard to read these articles as Torres del Paine is on my bucket list for a long time :) Pinned for later. Thank you, Thomas. I hope you'll get to see torres del Paine someday. It's really worth the trouble getting there. The mountains -- snowy and with jagged peaks behind that -- got my attention. Then there's the lake. And then, best of all -- wildlife! It would be a dream to hike here. Indeed, there is a lot of wildlife in Torres del Paine. Those guanacos were as cute as they can be! Yes, apparently the campsites and hostels have limited space, so if you plan to travel during their high season I would recommend booking at least 4-5 months in advance. Not necessarily, Mark. You can take very easy walks in the park or just do as much as you want. There hikes for all level of fitness. Hope you'll make it to Patagonia someday. It's a really beautiful corner of the world. This is such a beautiful and incredible place, and one country I'd like to see one day. This hike is probably not for beginners like me, but regardless, I'd like to try! Great tips on the day trips! At least I have a chance to see some of these beautiful sites. The landscape here is extremely gorgeous. I still can't get over how expensive the hotels are, but I'd definitely like to stay in one since I am a novice hiker. There are hikes for every level in Torres del Paine. Besides, you can go as far as your strength will last, so don't worry.